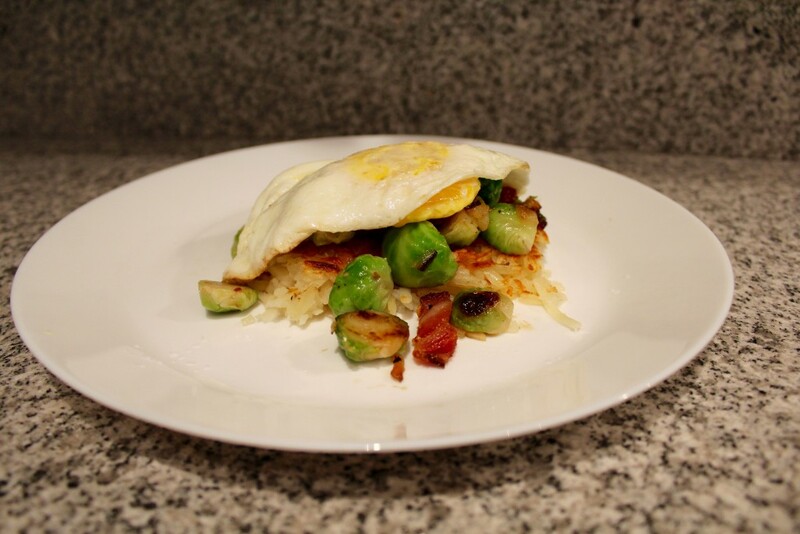 Some notes on frying eggs… You should use a nonstick or cast iron skillet for this task. Don’t skimp on the butter either. Its also important to have a steady medium heat. You want the egg to cook through on one side. There should be just some slight sizzling when the egg hits the pan. I almost alway make over easy eggs so that the white gets cooked through. But you can just put a lid on the pan and let the steam cook the top. It takes less than 5 minutes to cook. And honestly, you just have to get to know your pans and your stove temperatures. It will take some practice but eventually you will be a seasoned pro and fry eggs perfectly. Brunch is obviously not brunch without mimosas. I like to use Friexenet or other cava for mimosa. But lately we have been buying Trader Joe’s Blanc de Blancs. It is $4.99!!! I really can’t tell a difference between Cava and this cheap sparkling in my mimosas. Speaking of brunch and mimosas… if you do live in the KC area, please do yourself a favor and go to brunch at the Bristol on Sunday. Not only is there amazing breakfast food, but there is an insanely good raw bar. And, half price bottles of wine!! They have excellent prices on some sparklings that are perfect for mimosas. Pour the hot water into your box of hash browns (it will need to sit for 12 minutes). 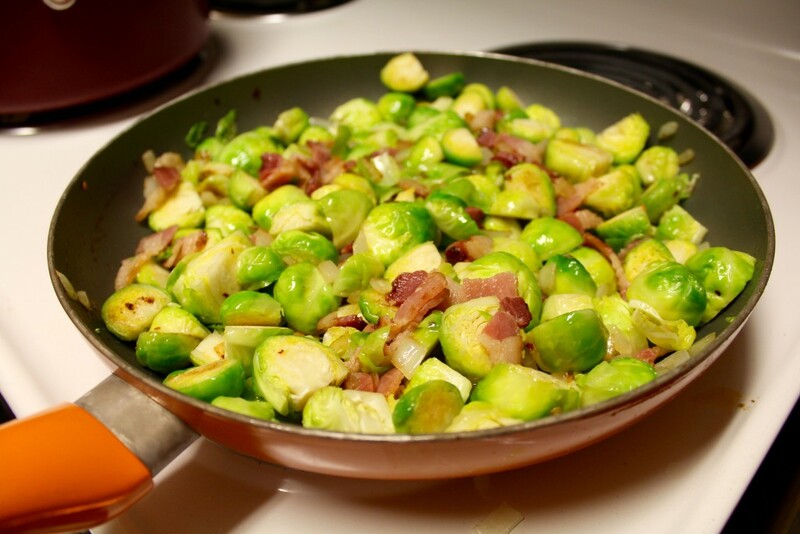 Make the brussels per above recipe. Heat a skillet to medium high. 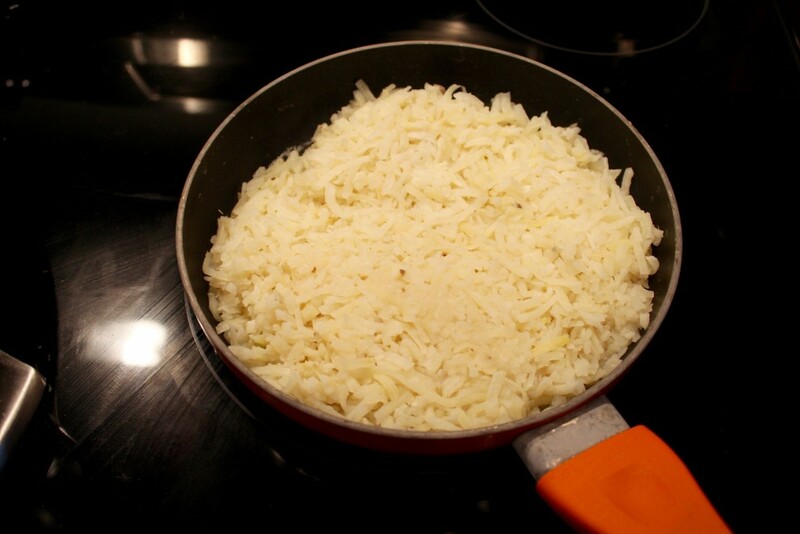 Fry the hash browns on one side in some butter or oil for 7 minutes (or a little more if you like them crispy). Melt 1 tbsp butter in a skillet over medium heat. When the butter is just slightly bubbling, add the eggs, fry them two at a time. Cook for about 4 minutes until the white is mostly set. Flip over carefully, cook for 1 more minute. 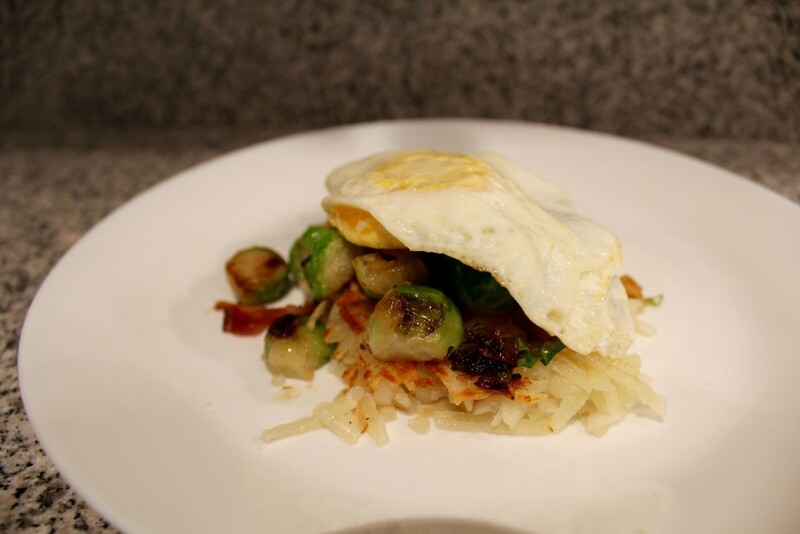 Plate the hash browns, place brussels over the hash browns, put the fried egg on top. 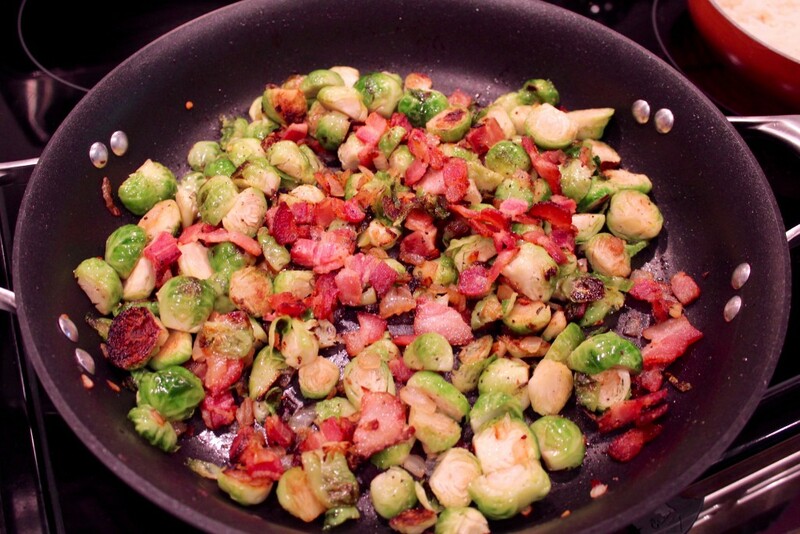 Sprinkle with kosher salt and freshly cracked pepper. Serve.